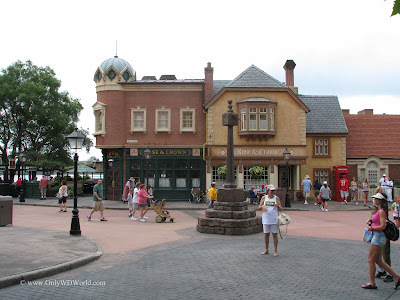 Each year, millions of Walt Disney World Guests experience the world through the well crafted international pavilions found in the Epcot World Showcase. 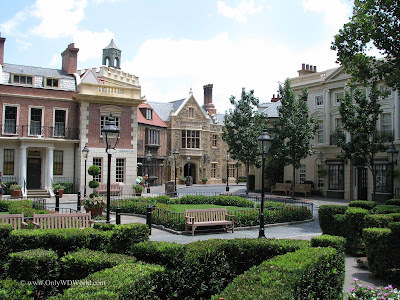 The United Kingdom Pavilion brings a variety of architectural styles dating back to the 1500's and mixes them together to give a wonderful view of the United Kingdom within Disney World. 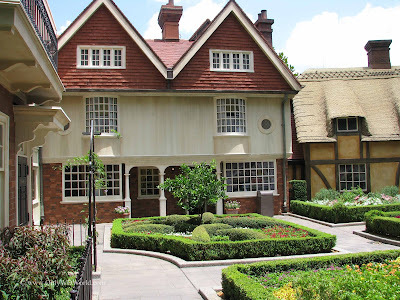 Without a major ride or show, the United Kingdom Pavilion relates its story through architecture, food, shopping, music, landscaping, and the charm of the Cast Members that work in the Pavilion. 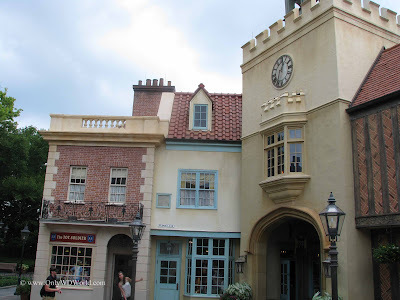 I am always amazed at the guests who hail from the United Kingdom that come to this pavilion and really enjoy it, which is a true testament to the efforts of the Disney Imagineers. 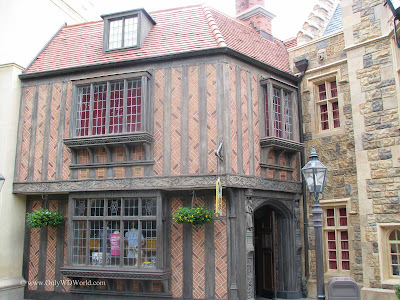 The Tea Caddy, shown above, represents architectural elements dating back to the 1500's with the thatched roof and half timbered walls. The building is actually modeled after Anne Hathaway's cottage at Stratford-Upon-Avon. The Queen's Table represents English architecture in the 1600's with this 2-story structure. It shows a definite change in building materials, shape, and roofing materials. 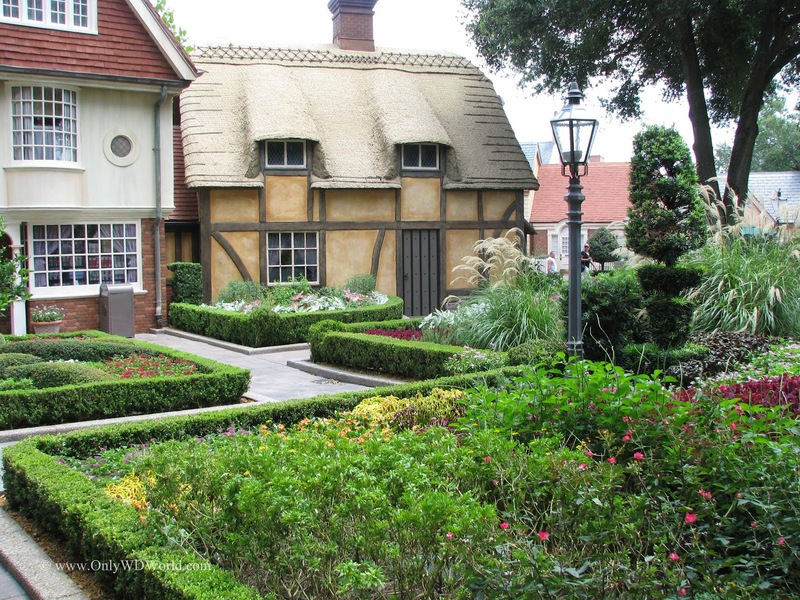 You will also find classic English Gardens, which are great for exploring any time of the year. Lucky visitors may also encounter Alice In Wonderland or Mary Poppins. 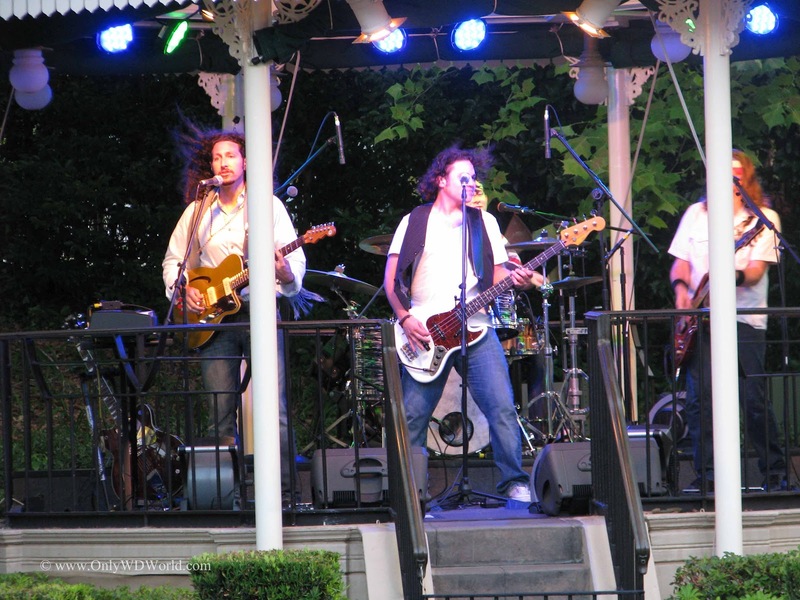 A gazebo provides the setting for the British Revolution, who plays a variety of music from a wide collection of British artists. The building shown above is representative of the 1800's with its exterior of dressed stone and a pedimented 4-column center leading up to the stone balustered parapet at the roof line. One of the most amazing aspects is that the Disney Imagineers have been able to blend all of these architectural styles to not only represent a variety of times, but have put them together into one believable cohesive unit. The Sportsman's Shoppe blends a variety of styles all in one building, making it appear to have added features over time utilizing the architectural styles of the period at hand. 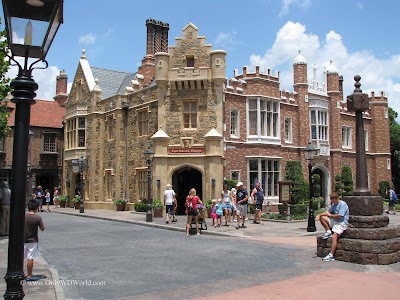 Even the Rose & Crown Restaurant & Pub is a blending of 4 different architectural styles representing various types of pubs that you may encounter. 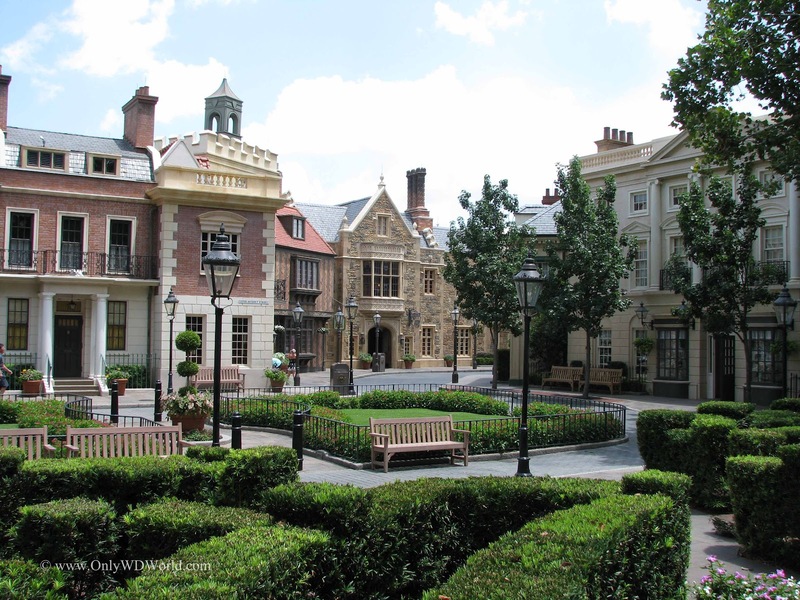 There is so much to see and experience at the United Kingdom Pavilion in Epcot. 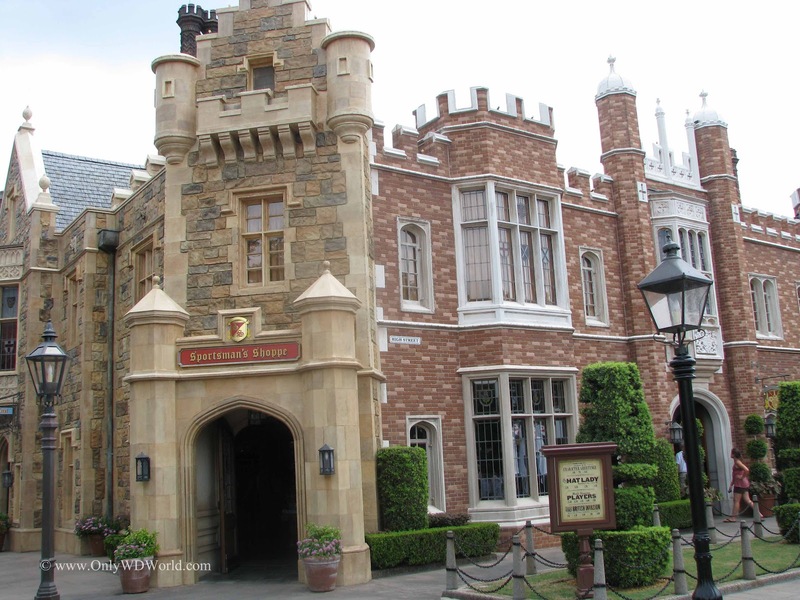 Although it lacks a signature attraction that doesn't mean that you can't easily spend an hour exploring all there is to see. 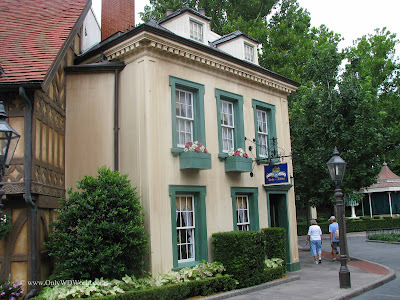 Often Disney World visitors will need several visits to really notice the details that can be found. 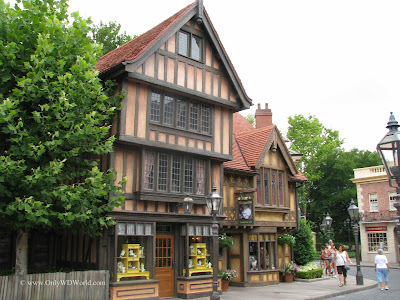 Take the time to explore the shops, listen to the music, and taste the food and drinks from the Rose & Crown. You can enjoy the United Kingdom right from the middle of Florida. 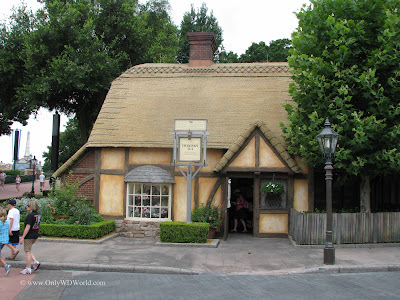 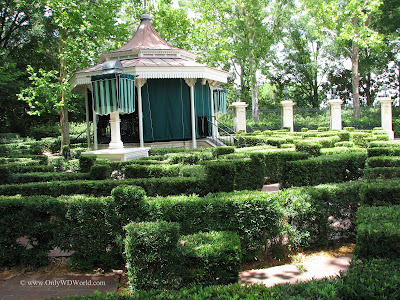 1 comments to "Epcot United Kingdom Pavilion Brings English Charm To Disney World"